While walking through the halls of my children’s elementary school, I am surrounded by familiar sounds, sights and smells. Laughter and screaming as the end-of-day bell rings, stuffed backpacks making their way home, and books in the library that have been loved by hundreds of grubby, little hands. I am taken back to a time when life was so much easier, my cares consisted of whether recess would be inside or outside, and my hopes were high and strong. My principal was a tall, magnificent man, and my teacher was the smartest woman in the world. There was no way she could ever be wrong, and I followed her every word like the teachings were from God himself. 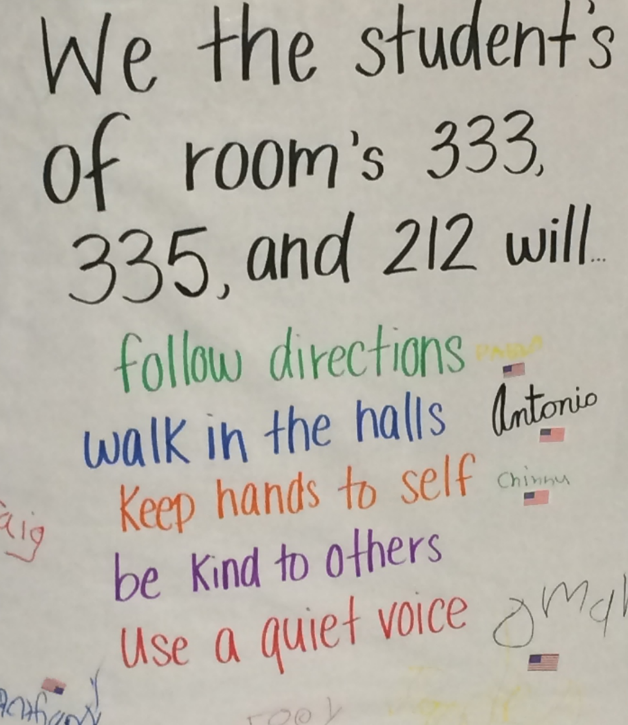 So imagine my sadness when, in the present day, I came upon the following sign on the front of a classroom door—a classroom filled with eager, moldable young minds. The minds that will lead our society, and someday become teachers themselves. Why do apostrophe blunders surround us? Well, as this sign points out, we clearly have a broken system. If teachers are not required to prove that they are fully capable of teaching, and they pass along incorrect information to our students, how can we possibly hold students to higher standards (or punish them when they fail to succeed)? I’m certainly not one to let something like this go—especially not in a school where proper grammar and punctuation should be of the utmost importance! Long story short, I waited for the teacher to return to her room, explained to her how to properly use apostrophes, and left it at that. (I also strongly considered pulling my kids out of the school, but that’s another discussion.) I was glad to see that the sign was removed the following day. If you take time to brush up on one thing, apostrophe usage should be at the top of your list. It may not seem like a big deal to you, but your readers will pick up on misplaced apostrophes. If you’re still confused after studying up, let us know. We offer content writing, editing, and training services in order to ensure your content is in perfect shape before heading out into the world. This Typo Tuesday, It’s Raining Apostrophes!